SKU: 8844. Categories: Audio CD, Cleopatra, Metal. That uncanny ability to excite the denim wearing headbangers, the bearded horn rimmed hipsters and the pierced and dyed Hot Topic rockers has helped ICARUS WITCH break away from the young metal pack as they win over fans worldwide opening for acts as diverse as Coheed & Cambria, Black Sabbath, Otep, Fuel and Twisted Sister, to name just a few. This Independence Day will be the most explosive yet as we celebrate the “New Revolution” and ICARUS WITCH breaks new ground with a new singer, new drummer, new 2nd guitarist, new logo, new producer and a fresh new brand of metal that is so full of massive guitars and catchy choruses, you’ll be singing along on your first spin! 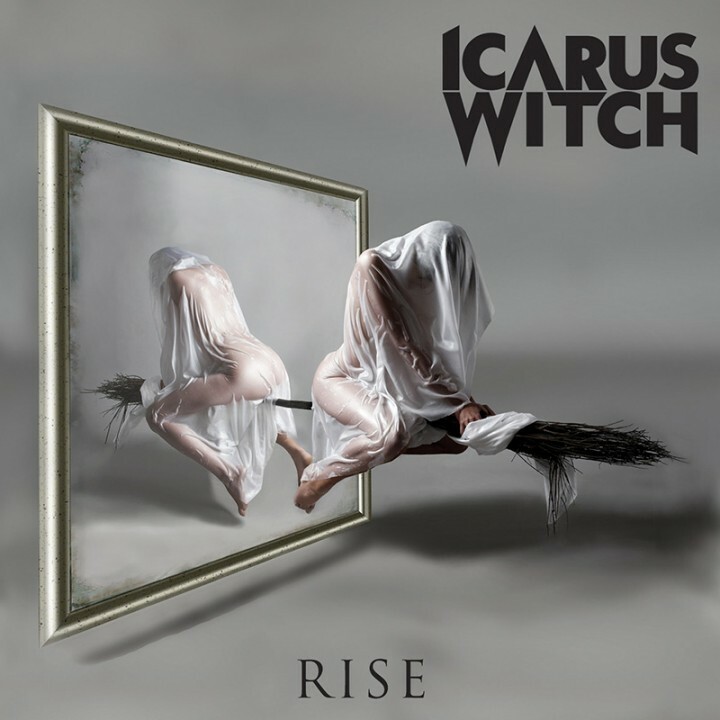 So whether your store caters to fans of modern metal like Avenged Sevenfold, Bullet For My Valentine & Breaking Benjamin or the classic arena rockers like Priest, Queensryche, Journey and Dio, give the customer what they need…sell them ICARUS WITCH – RISE! The 5th CD from melodic metal favorites, Icarus Witch features the band’s biggest and most modern production to date as produced by Dave Watson (Mantic Ritual) and mastered by Mark Richardson (The Black Keys, Baroness)! Having toured North America 3 times since their last album including 2 tours as support and backing band for Iron Maiden’s Paul DiAnno the band’s fan base has exploded! With the popularity of traditional heavy metal at an all time high, Icarus Witch begins another tour this August with Earache Records buzz bands, White Wizzard and Cauldron! This is the first album featuring new vocalist Christopher Shaner who has broadened the band’s sound and songwriting appeal to fans of modern hard rock as well as the die hard metal heads who have followed since 2004!